Pound the garlic and chili together. Keep aside. Heat the oil in a pan, add the pounded mixture and sauté for a minute. 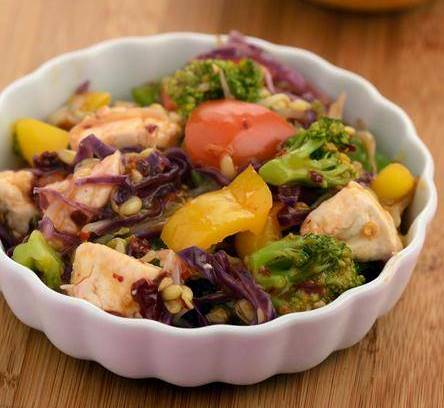 Add the broccoli, bell peppers and cabbage and stir-fry on high flame till they are crisp. Add the tofu, salt and pepper and mix well.